Part # 1081, this is a rough sketch. Final details to be revealed when actual model is built and photographed. 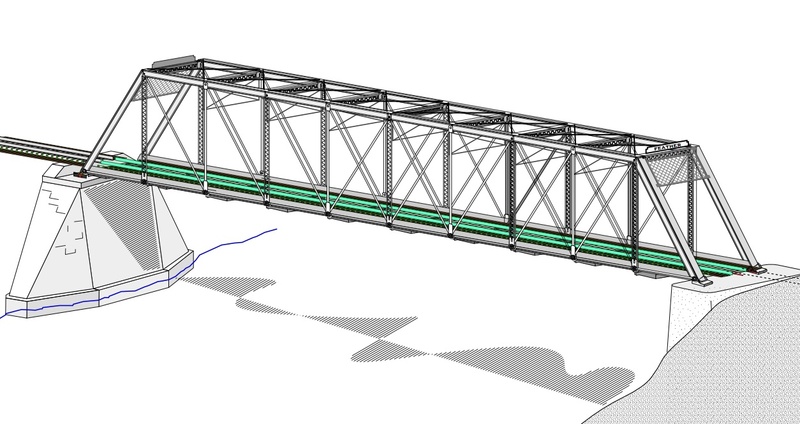 New shot of prototype Pratt Truss Bridge with proposed abutment piece that will eventually be made by a thrid party. Specifications 225' span, single track, cast & riveted iron fittings, clearance for double stack freight cars. Will fit one MTL flex track length of 12.5".